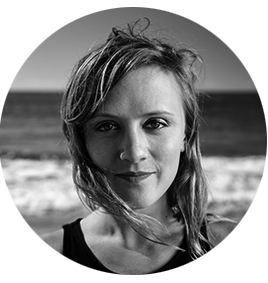 Ellen Reid (Composer) is a composer and sound artist whose work “brims with canny invention” (L.A. Weekly). Reid’s work is largely collaborative and takes the form of opera, chamber music, pop songs and scores for film and theater. Reid’s work has been hailed as “ineffably moving” by Mark Swed of the L.A. Times, “radiant” by Alex Ross of The New Yorker, and it’s been said that her vocal writing would “make you believe that the mythical sirens really existed” (KCRW). Her recent and upcoming projects include dreams of the new worldfor LA Master Chorale and Choir Trinity Wall Street premiered at Walt Disney Concert Hall, a sound installation for HBO, Prism with Beth Morrison Projects premiered by LA Opera, a new commission for the LA Philharmonic’s 2018/19 centenary season, the premiere of Petrichor with the Los Angeles Chamber Orchestra, HOPSCOTCH with The Industry (dir. Yuval Sharon), music for Death of a Salesman at BAM, a solo cello piece for Johannes Moser, Push/Pull for International Contemporary Ensemble, and music for Buster’s Mal Heart (starring Rami Malek) with filmmaker Sarah Adina Smith that premiered at Toronto Film Festival. Reid’s work has been featured at the Whitney Biennial, Ruhrtriennale, and the Hammer Musuem. In 2016 she and fellow composer Missy Mazzoli co-founded Luna Composition Lab, a mentorship program directed at young self-identified female and gender non-conforming composers, in partnership with the Kaufman Music Center’s Face the Music program. Ellen received her BFA from Columbia University and her MA from California Institute of the Arts. She splits her time between her two favorite cities—Los Angeles and New York. Headshot by James Matthew Daniel. Sarah LaBrie (Librettist) is a librettist and novelist. Her work in the Industry’s opera HOPSCOTCH was featured in the New Yorker, New York Times, LA Times and on NPR. She has received fellowships and grants from Yaddo, New York University, the Virginia Center for the Creative Arts and the Vermont Studio Center and her fiction has appeared in Guernica, Encyclopedia Journal, Lucky Peach and elsewhere. She was the editor of the California Prose Directory 2016: New Writing From the Golden State (Outpost19), a collection of the best recently published prose about California. 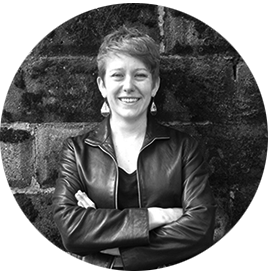 Sayd Randle (Lead Researcher) is a sociocultural anthropologist and a freelance writer. 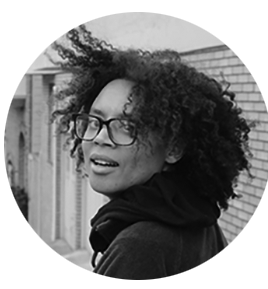 She received her PhD from Yale University in May 2018 and was awarded the school’s top prize for an original scholarly work “of general human interest.” She has written for popular forums including The Awl and Sage Magazine. This fall, she will join the University of Southern California’s Society of Fellows in the Humanities as a postdoctoral scholar. David T. Little (Composer) is “one of the most imaginative young composers” on the scene (The New Yorker), with “a knack for overturning musical conventions” (The New York Times). His operas Dog Days, JFK, and Vinkensport (librettos by Royce Vavrek), and Soldier Songs have been widely acclaimed, “prov[ing] beyond any doubt that opera has both a relevant present and a bright future” (The New York Times). Other recent works include how it begins / how it ends (London Sinfonietta / BGSU), The Conjured Life (Cabrillo Festival / Cristian Macelaru), Ghostlight—ritual for six players (eighth blackbird / The Kennedy Center), AGENCY (Kronos Quartet), and dress in magic amulets, dark, from My feet (The Crossing / ICE). Little is currently composing a new opera with Royce Vavrek, commissioned by the Metropolitan Opera / Lincoln Center Theater new works program, and the music-theatre work Artaud in the Black Lodge with poet Anne Waldman (Beth Morrison Projects). His music has been presented by the LA Philharmonic, Carnegie Hall, LA Opera, the Park Avenue Armory, Holland Festival, the Bang on a Can Marathon, BAM Next Wave, Opéra de Montréal, and elsewhere. He co-founded the New Music Bake Sale, previously served as Executive Director of MATA, and from 2012–2018, served on the board of directors at Chamber Music America. 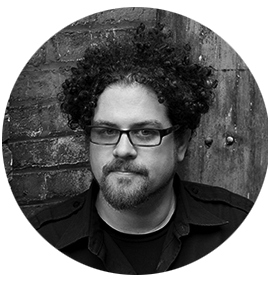 He teaches Composition at Mannes-The New School, and from 2014–2017, served as Composer-in-Residence with Opera Philadelphia and Music-Theatre Group. The founding artistic director of the ensemble Newspeak, his music can be heard on New Amsterdam, Innova, and National Sawdust Tracks labels. 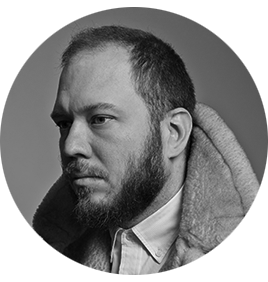 Royce Vavrek (Librettist) has been called “the indie Hofmannsthal” (The New Yorker), a “Metastasio of the downtown opera scene” (The Washington Post), and “an exemplary creator of operatic prose” (The New York Times). His notable work includes JFK (Fort Worth Opera/American Lyric Theater/Opéra de Montréal) and Dog Days(Peak Performances @ Montclair/Beth Morrison Projects/Fort Worth Opera/LA Opera/Prototype Festival/Theatre Bielefeld/Staatstheater Schwerin) with David T. Little; “27” (Opera Theatre of Saint Louis/Pittsburgh Opera/MasterVoices) with Ricky Ian Gordon; Breaking the Waves (Opera Philadelphia/PROTOTYPE Festival) Song from the Uproar (Beth Morrison Projects/The Kitchen/LA Opera/Milwuakee Opera Theater/Chautauqua Opera) with Missy Mazzoli; Angel’s Bone (Prototype Festival) with Du Yun; O Columbia (HGOco) with Gregory Spears; and The Hubble Cantata(Bay Chamber Concerts/VisionIntoArt/BRIC Celebrate Brooklyn!/Beth Morrison Projects) with Paola Prestini. Upcoming projects include Midwestern Gothic with Joshua Schmidt for Signature Theatre, Virginia; The House Without a Christmas Tree with Ricky Ian Gordon for Houston Grand Opera; Stoned Prince with Hannah Lash for American Opera Projects and the Virginia Arts Festival; and Proving Up with Missy Mazzoli, an adaptation of Karen Russell’s short story for Washington National Opera, Opera Omaha and The Miller Theatre. Royce is Co-Artistic Director with soprano Lauren Worsham of the opera-theater company The Coterie, and an alumnus of Concordia University (Montreal), the Graduate Musical Theater Writing Program at NYU, and American Lyric Theater’s Composer Librettist Development Program.